If you find yourself vacationing often in Cabo San Lucas – or even if you haven’t vacation there before -, maybe its time to look at getting a timeshare in a sunny destination. You can have a gorgeous beachfront piece of Cabo without breaking the bank with a Cabo San Lucas timeshare. Celebs often turn to Cabo for it’s luxury, and you won’t be missing out on any of that with all of the accommodation options out there in the area, but you also, surprisingly, won’t be paying as much for it as you thought. Cabo is home to some of the best beaches in Mexico. Come lounge around on the wondrous bright sands while catching some rays and taking in the natural wonders. The beaches range from crowded public waterfront locations for more private ones, and many beaches are booming with amazing complexes and resorts. Cabo San Lucas is really rising in popularity in the timeshare market, and many are turning to Cabo for affordable pieces of paradise. Grab yours today while the prices are –pardon the pun- at bay, and you won’t regret it. With a variety of complexes to choose from, Cabo’s ease of access, the low prices, and the variety of activities and beaches, Cabo San Lucas is a prime location for a timeshare. Cabo San Lucas really has a bit of everything. You can wine and dine at great restaurants, zip line your way across stunning backdrops, and swim with saltwater friends. You can really relax here, but you can also go on breathtaking adventures – try a safari or riding a camel. 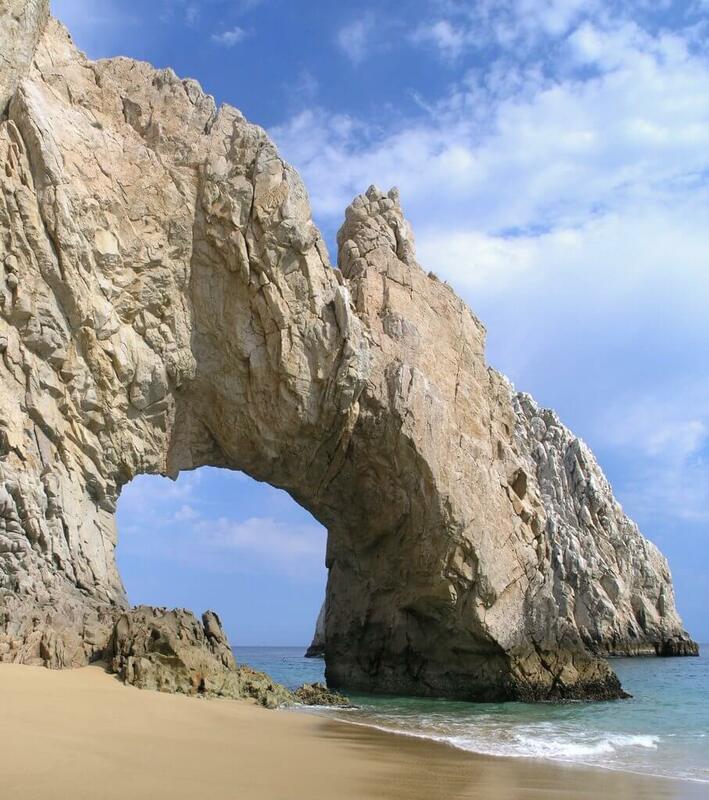 Cabo San Lucas also has no shortage of natural architecture everywhere you turn. Take the beachside cliffs for instance, and more specifically El Arco- a natural rock formation that doubles as an iconic landmark. It is featured on many of Cabo San Lucas’ postcards, and is a must-see. You can also venture down to the Marina or the heart of downtown Cabo San Lucas. There is no doubt that Cabo San Lucas timeshare is a top choice for families, retirees, lovebirds and experience investors.